After searching for a family throughout his whole life, Alfredo Villa aka Prettyboyfredo found everything he had ever wanted at the age of 24. 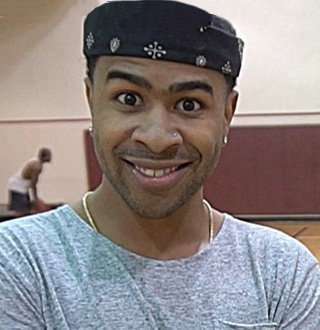 The Palm Beach, Florida-native is a prominent YouTuber best known as Prettyboyfredo. His channel features a mix of pranks, challenges, vlogs and various types of NBA 2K gaming videos that have earned him more than 5.3 million subscribers till August 2018. He also co-owns another Youtube channel named The 2x family, which was created in December 2017. That channel has over 2.8 million subscribers. Born on 20 August 1993 in Palm Beach, Florida, USA, Prettyboyfredo(real name: Alfredo Villa) was born in a family with difficult circumstances. His mother was a drug addict, and his father was an illegal immigrant from Costa Rica. When he was three months old, he was given up by his parents. Immediately, he and his siblings at an early age were placed in a group home. They got split up and were put into foster care. He bounced from home to home and had nothing neither a sense of belonging nor a purpose in life. He grew up in despair without ever knowing the taste of love, hope, and support from anyone that he could call his own; he was all alone in this universe of over seven billion humans. The pain left him questioning his existence--it moved him to wonder why people were meant to live a life like his. He didn’t know the answer, he didn’t understand, and so he grew up to be an angry kid. The void that his parents left in the average height Youtuber was like a black hole sucking him empty from the inside. No family from foster home could ever fill that void, in fact, no one tried. Alfredo opened up about his difficult childhood in one of his videos on his YouTube channel where he teared up as he claimed that he had no one to call a family, and he felt lost. Fortunately, his perspective on life changed after he found love from a number of people and also his adoptive family, leading him to become a very humble and grateful man. One of his loved ones includes his sister, who goes by name of LadyHoopStar on Twitter. She’s continuously behind his back, praising her brother whenever he reaches a milestone and inspiring him to keep getting better. Alfredo on his part reciprocates the feeling of love back to her sister the same way. From congratulating him on hitting millions of subscribers to getting wished on her birthday by him, the two siblings share a deep bond between each other. What is Prettyboyfredo's Net Worth? Alfredo enjoys the net worth of $700 thousand from his career as a Youtuber. His channel, Prettyboyfredo, was registered in 2009 but only started posting videos three years ago. The channel has accumulated over 4 million subscribers. And because of it, he has grown into a wealthy man at a young age. He generates revenue ranging from $2.6K to $41.8K monthly which cumulates to $31.4K--$501.9K annually from his Youtube channel. Alfredo has been in a relationship with Jasmine since 2013. The couple have been enjoying a happy bond----so much so that they decided to create a new youtube channel, The 2x family, featuring vlogs, challenges, and pranks, featuring both the lovebirds in 2017. Speaking of 2017, it turned out an excellent year for both Alfredo and Jasmine as they announced that the couple was welcoming a new member of their small family in the same year. By October 2017, the Prettyboy's girlfriend was already over eight months pregnant. The couple shared an adorable baby bump picture to commiserate with their special occasion. On 11 November 2017, Alfredo and Jasmine welcomed their firstborn, a daughter, Ava. At the age of 24, Alfredo became a dad. Young Protege: Star Olivia Rodrigo's Age, Height, Family Detailed! Who Is She After All? A week after her birth, the Youtuber took Jasmine and their daughter home. Keeping the record of the first homecoming, he was on hand with a camera, vlogging the whole experience. However, amid all the furor of his daughter coming home, he and his girlfriend had forgotten to stack supply of diapers. While Jasmine stayed home with Ava, Alfredo went diaper shopping. When he returned, he not only had diapers but also gifts for the loves of his life. He had an expensive bag for Jasmine but trumped that gift with for Ava, a beautiful necklace. He handed the gift to Jasmine and proposed that until Ava comes of age, jasmine would keep the necklace safe and sound with her. Alfredo Is Engaged To Longtime Girlfriend. Yes, you read that correctly. Alfredo is engaged. Finally! When it comes to Alfredo's relationship status, everyone has always known about his long stint with girlfriend Jasmine. So it came as no surprise when on the 28th of October, 2018, Alfredo, through his twitter announced that he got engaged to his girlfriend. News that left his fans and followers flooded with joy. As for when the wedding bell will toll, the pair have remained silent as of now. But it could only be a matter of time before we get to see the newlyweds. We could see a lavish wedding where their little bundle of joy Ava could be by her mother's side as a bridesmaid. Jane Pauley Speaks About Her Health – From Illness And Sickness She Suffered! Canadian Journalist Robin Gill Already Married Or Boyfriend And Dating Life Prevails?